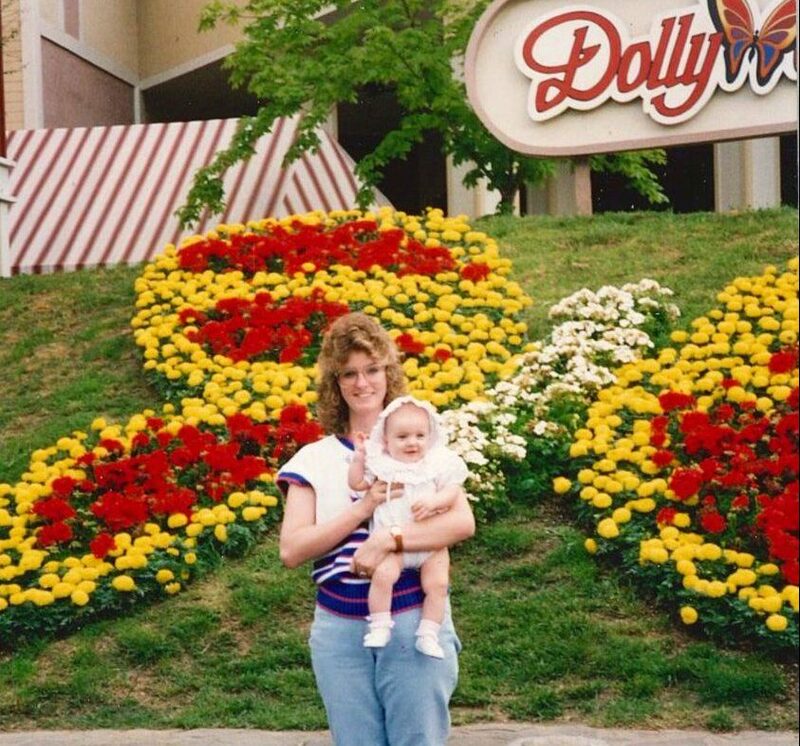 I guess I am what you could call a Dollywood veteran… a Dollywood adventurer since before I could walk. 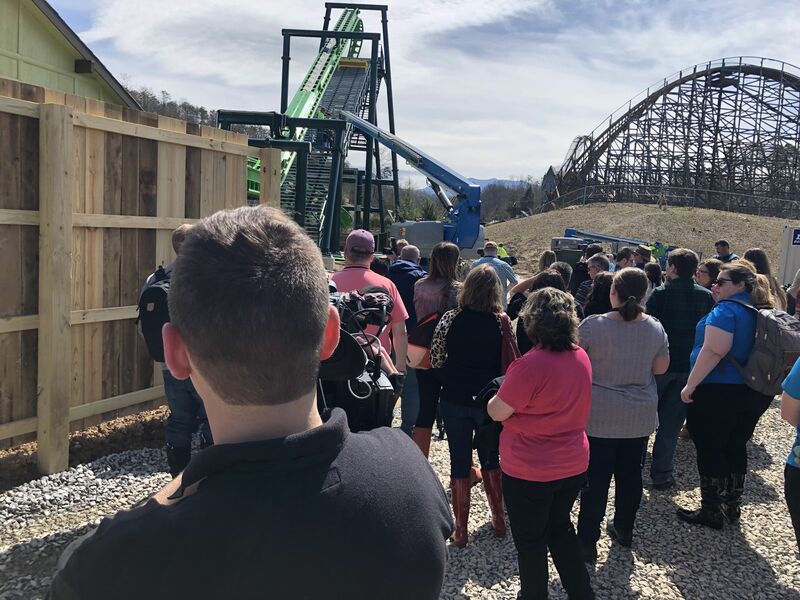 Growing up, I’ve experienced Dollywood in several capacities… from the elementary school kid who loved Rockin’ Roadway (and truly believed I was driving that pink car) to the high schooler who wanted to ride Thunderhead until the park closed. 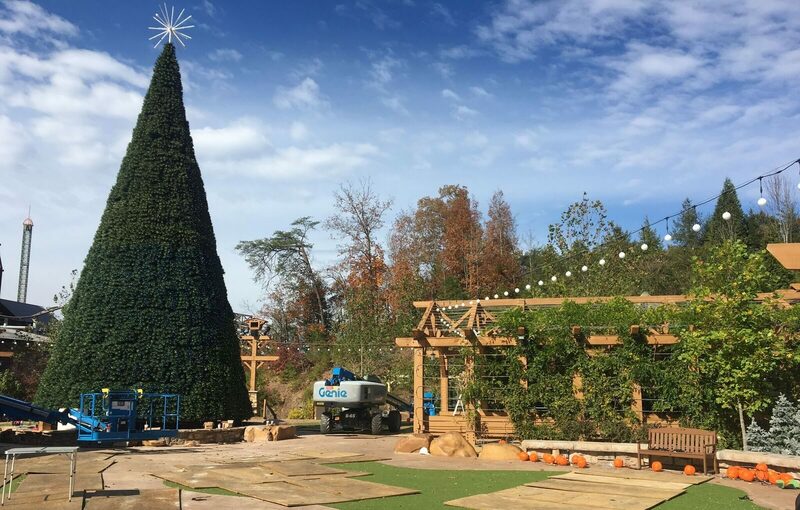 But more recently I’ve experienced Dollywood in a professional role. Going to Dollywood for work, what could be better than that? Nothing, nothing could be better than that. Every year Dollywood kicks off the new season with a Media Day. 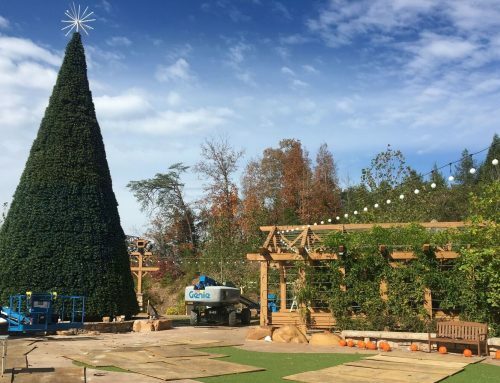 This Grand Opening event gives reporters, bloggers and other media representatives a taste of what the season will bring. 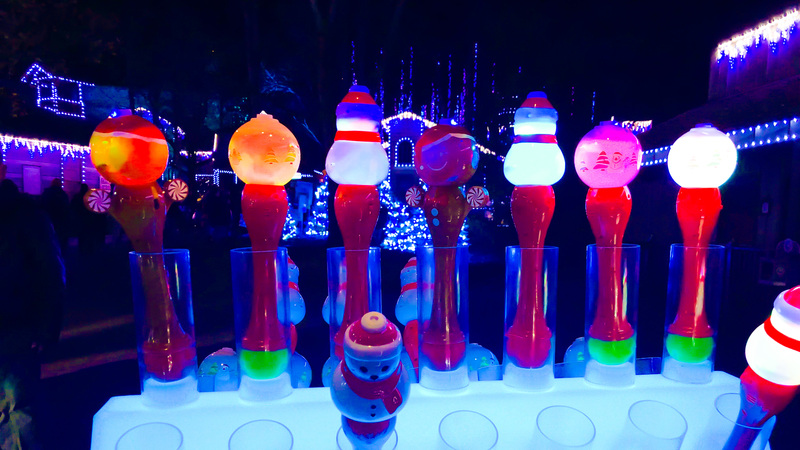 It also allows them to show you, their viewers, what you can look forward to when you come visit the park. 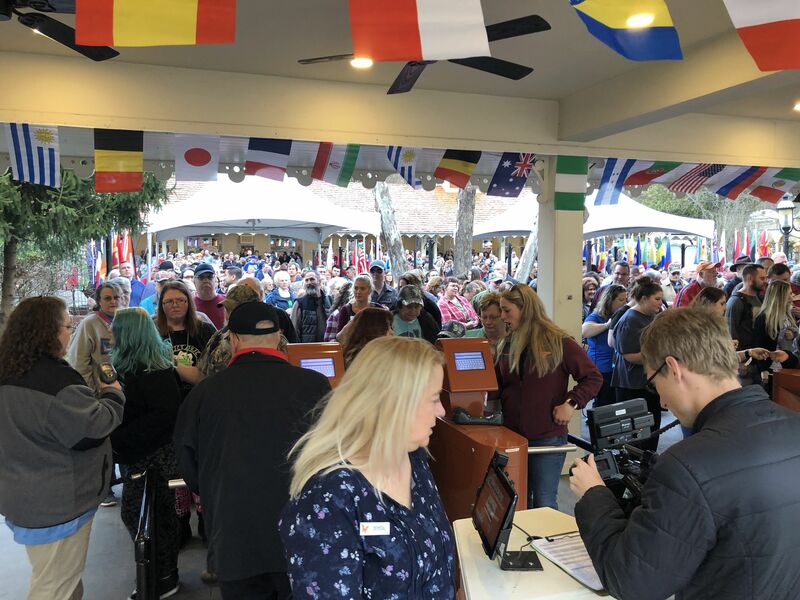 The 2019 Season Grand Opening was my first as a Dollywood team member, but it was not my first Dollywood Media Day. 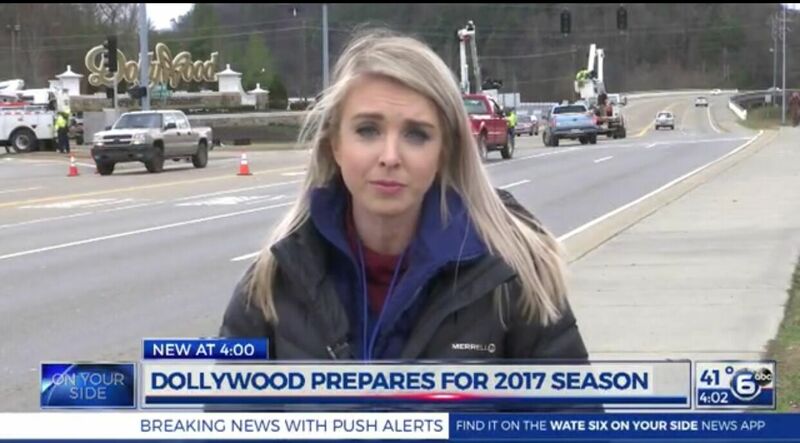 Before joining the Dollywood family, I was a TV reporter for a station in Knoxville, Tennessee. 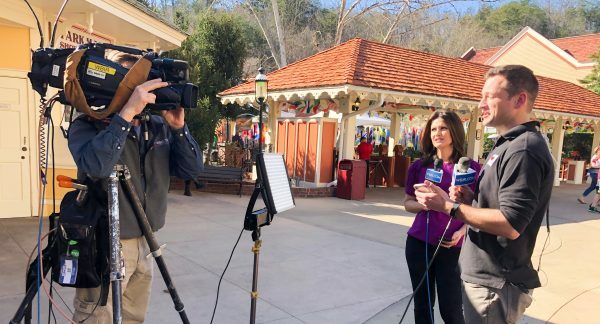 Covering a Dollywood event is like finding a Golden Ticket to Willie Wonka’s Chocolate Factory: every reporter wants to go, but not everyone can. 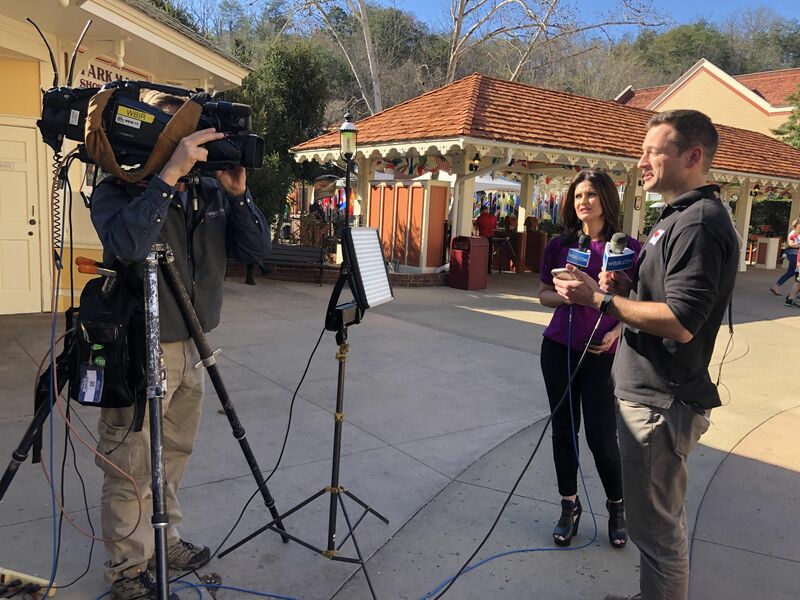 I spent my days reporting at Dollywood doing a variety of things from capturing video of the spectacular shows, tasting Dollywood’s award-winning food on live TV and probably everyone’s favorite part, seeing Dolly on stage as she told us all about the exciting season ahead. This time around I was on the other side of things, and let me tell you, it was even better. The day started dark and early with morning live shots. 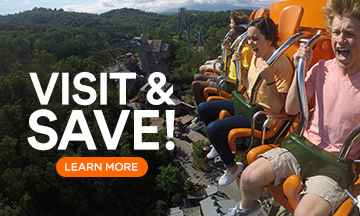 I hadn’t set a 3 a.m. alarm since my TV days, but it’s not hard to jump out of bed when you know you’re going to spend all day at Dollywood… well, maybe not as hard. 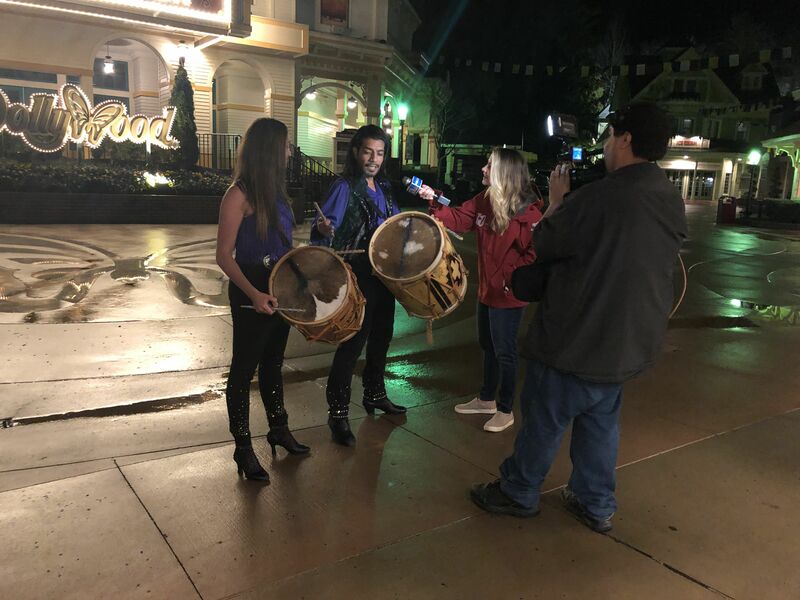 TV crews from all three Knoxville stations met us, and we were live starting at 5 a.m. We were also joined by two of our Festival of Nations entertainment groups, Atahualpa and GoGaucho Duo. 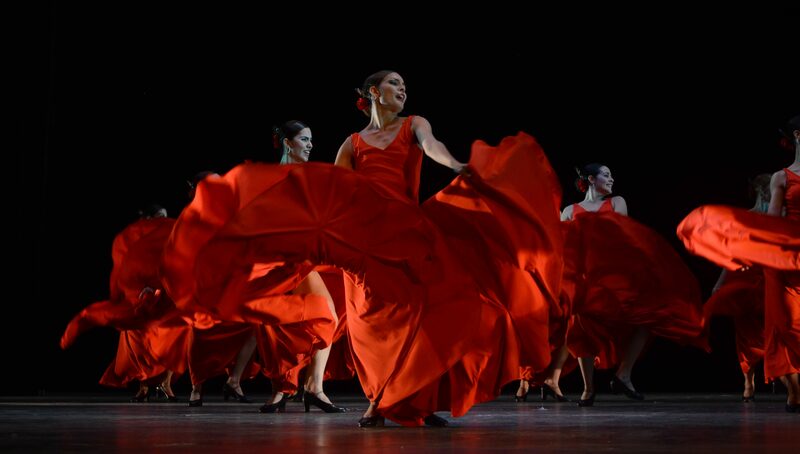 Who needs coffee when you’ve got energetic music from Argentina? 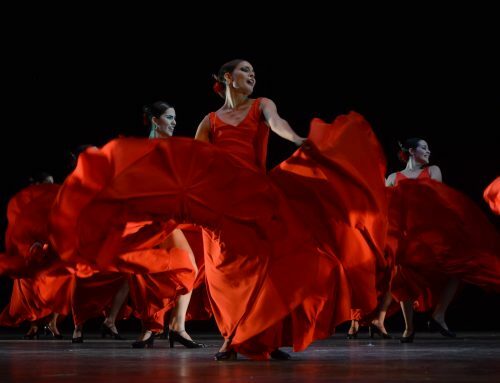 Well, me… but GoGaucho Duo definitely helped get me in the Festival of Nations spirit. 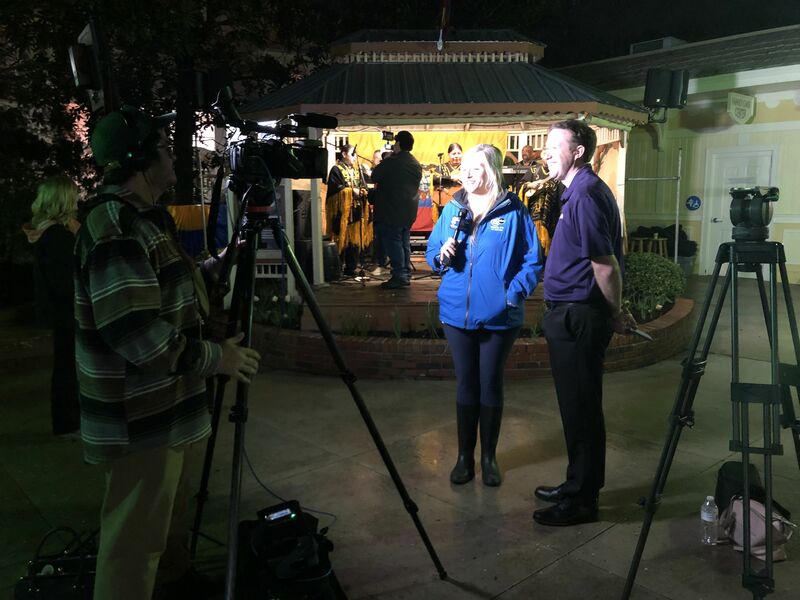 After live shots for the morning shows were done, it was time for the reporters and photographers to get video of people getting ready to come into the park. 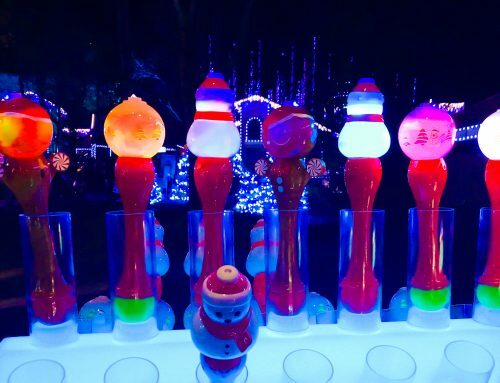 By this time, there was no shortage of people waiting in line for the park to open. We welcomed several other media outlets later in the morning—all eager to get into the media event… all eager to see Dolly. 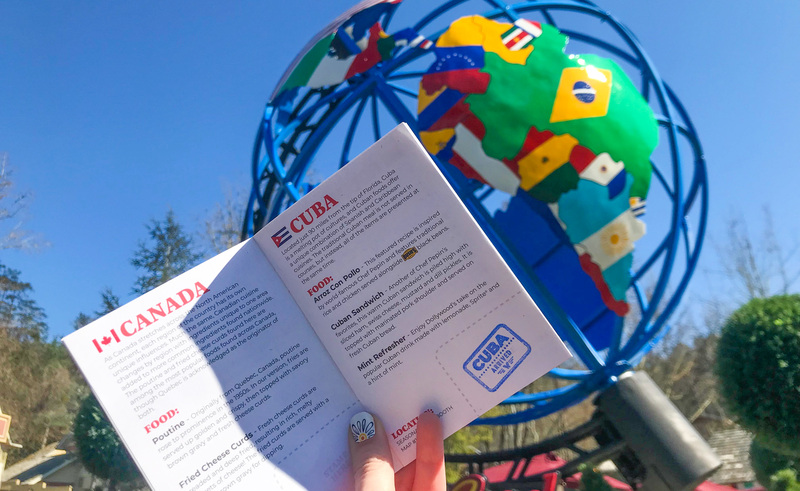 During the event, Dolly showed off her beautiful costumes, talked about Festival of Nations, caught everyone up on her other projects and elaborated on Wildwood Grove (mark May 10 on your calendars!). Following the media event came probably everyone’s second favorite part… the food. Media representatives were given a food demonstration by Celebrity-Chef Pepin and sampled some of the festival’s foods. 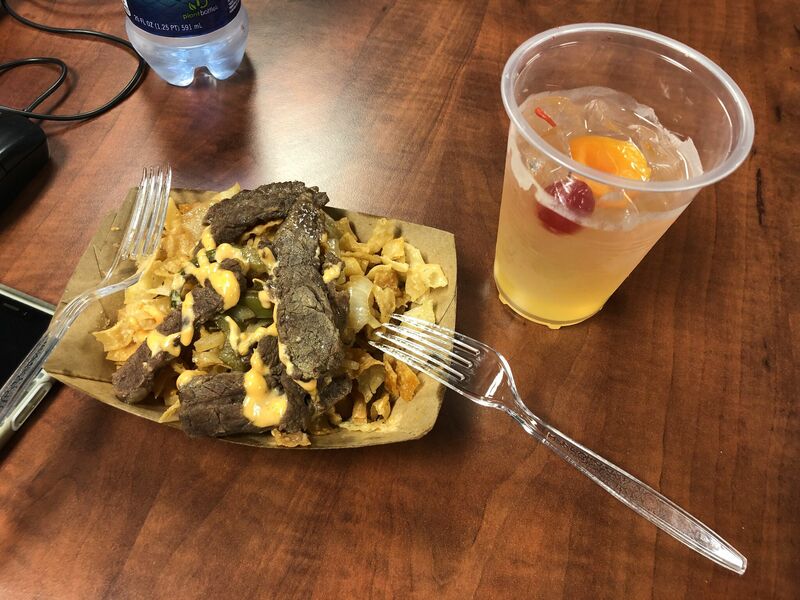 I was too busy working to sample much of the food (or take pictures)… but rest assured I found the Beef Bulgogi Nachos and Apricot Cherry Green Tea (both from South Korea) afterwards. I highly recommend giving them both a try. After lunch, media representatives went on a tour of Wildwood Grove. 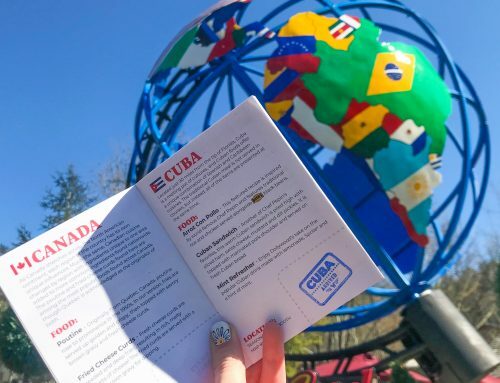 They got an update on progress, a first-hand look at the 11 new experiences and even had special surprise visit from Dolly herself. After leaving Wildwood Grove, (and changing my muddy shoes–it is a working construction site after all) I spent the majority of the afternoon assisting the reporters going live for the evening shows. 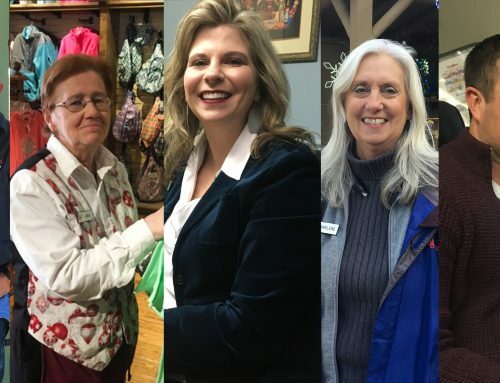 I made a lot of friends during my time in local news, and it was really neat to have them at the park reporting on all of the great experiences Dollywood has to offer. But, the best part of the entire day was helping guests create memories while my amazing Dollywood family created memories of our own. 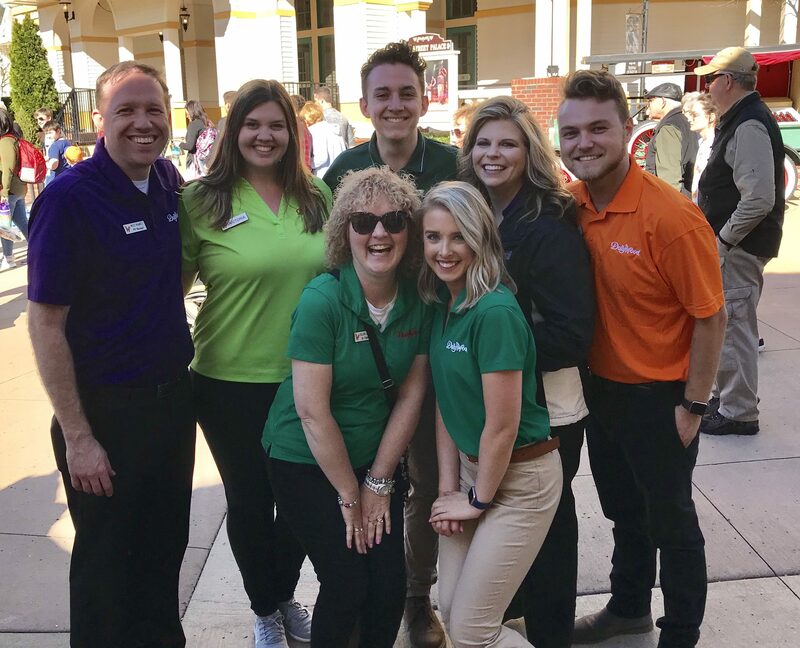 I have spent a lot of time at Dollywood, and like I said before, in a lot of different roles, but spending it with my new work family is by far my favorite. 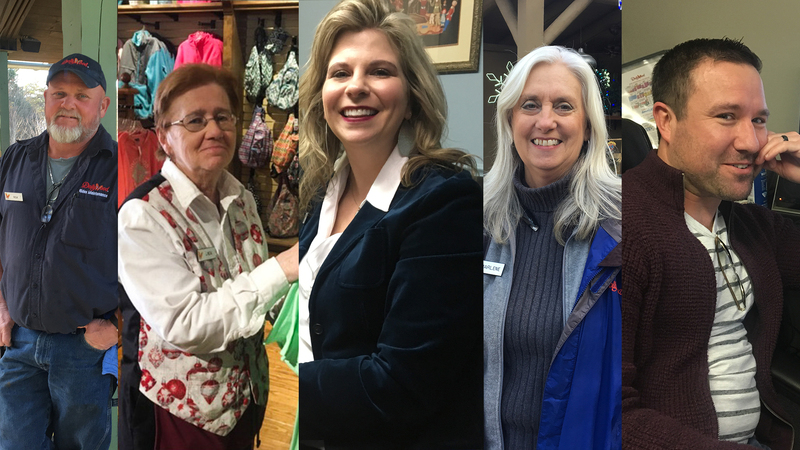 Born right here in Pigeon Forge, Jennifer Webb has been visiting Dollywood since before she can remember. Many weekends were spent enjoying berries n’ cream sundaes and riding her favorite ride, Daredevil Falls. Jennifer’s love of reading and writing started early with the help of Dolly Parton’s Imagination Library. In 1995 Jennifer was part of the first group of Sevier County kids to receive a book from the program. While in elementary school, life took Jennifer’s family to Knoxville where she still calls home. She is a graduate of the University of Tennessee and an avid Vol fan. Read More!